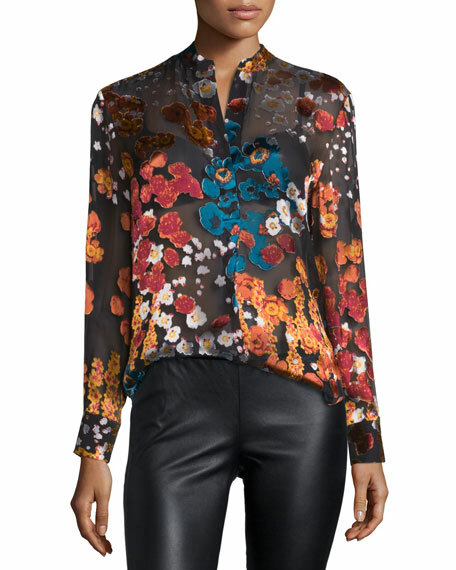 Alice + Olivia "Belle" semisheer blouse with floral print. 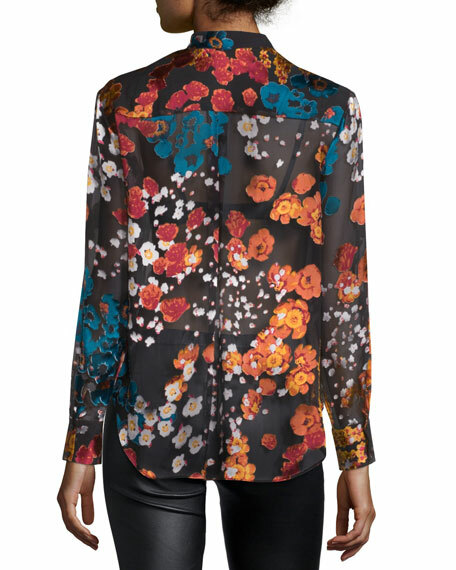 Mandarin collar; concealed button front. Long sleeves; two-button barrel cuffs. Yoked back shoulders; inverted pleat. 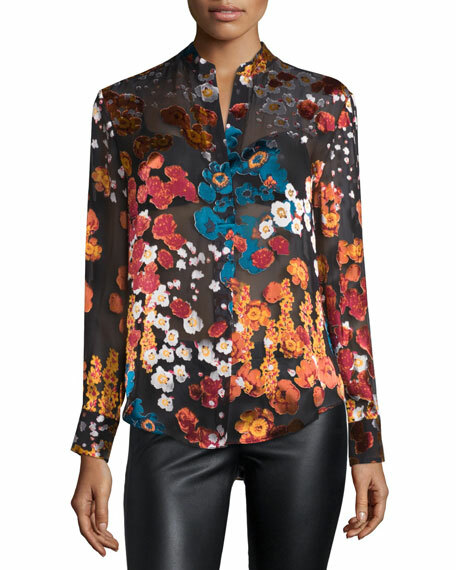 For in-store inquiries, use sku #1834581.